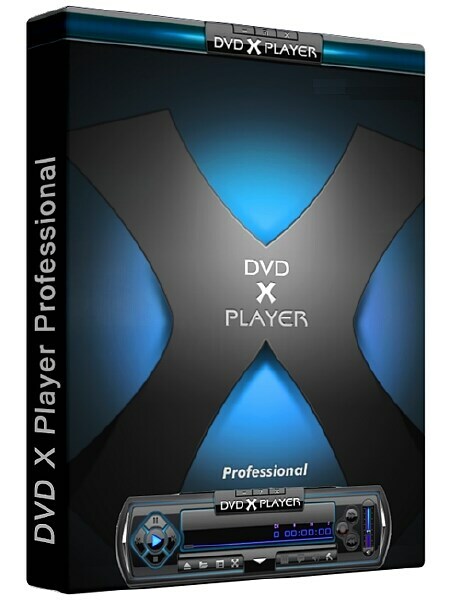 DVD X Player Professional - это отличный проигрыватель, который даст возможность воспроизводить различные DVD диски с любым региональным кодом. Работает со следующими форматами: DVD-VideoVCD/SVCD, Dolby Digital AC-3, MP3, WMA, AIFF/AU/SND/WAV/MIDI, VOB, Windows Media Video, VCD/SVCD, DAT, MPG, MPEG-2/1 Video. Данный плеер способен просматривать фильмы на залоченных DVD драйвах, а также диски с региональной защитой (RPC1/RPC2, RCE), также у плеера прекрасные аудио/видео возможности, в том числе - Multi-Channel, Surround Sound Audio Decoding, Dolby Pro Logic II, поддержка звука 4.1, 5.1, 7.1, Digital Theater System (DTS), Dolby digital AC-3. The worldwide most authoritative Region Free DVD player software. Through this DVD player software you can play all regions' DVD on all DVD drives (except the Matshita DVD-RAM serials, Sony VAIO serials and Toshiba Satellite serials) even if you have changed the region code 5 times. DVD X Player supports recording DVD as various popular movie files to expand your multimedia entertainment on most popular portable devices (Apple iPod, iPhone, Sony PSP, Zune, BlackBerry, Zen, Smart Phone, PMP etc. ). DVD X Player can provide superior video and audio (Dolby & DTS) quality, together with other enhanced functions: e. g. record DVD, playback image and DV, image capture and bookmark, etc. Furthermore, it supports DIVX, MPEG4, RM, QuickTime, WMV, WMV-HD, MacroMedia Flash and popular media formats of Internet. DVD X Player can be extensively compatible with hardware, which is operated stably, smoothly under Windows 9898SE Me 2000 XPVista systemWindows 7.